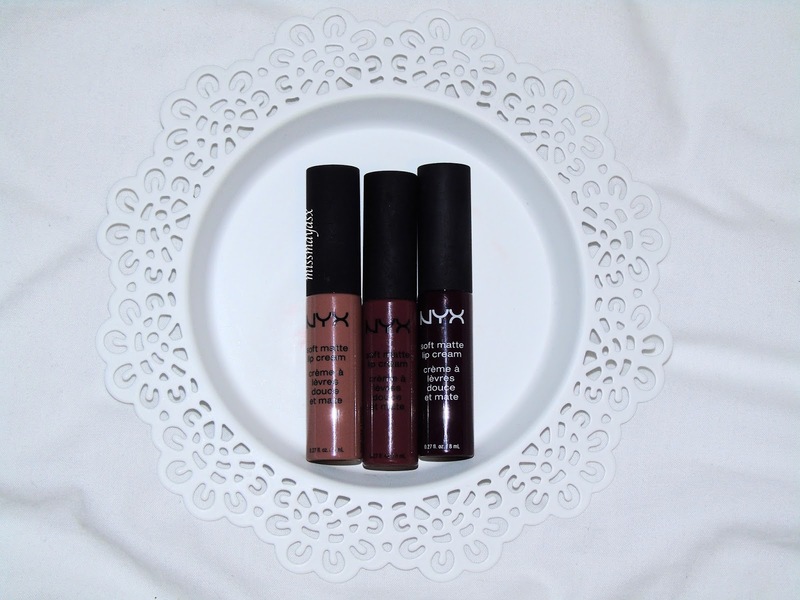 Ever since I've heard about the brand NYX I have been wanting to get my hands on some of their products to try out. Finally, after a long time, I bought a few Soft Matte Lip Creams after hearing so many people rave about them. I think the size is very handy as you can just shove it in your bag, and the little bottle looks a lot like the MAC Lipglasses. They're not heavy, and I believe that they are all made out of plastic. 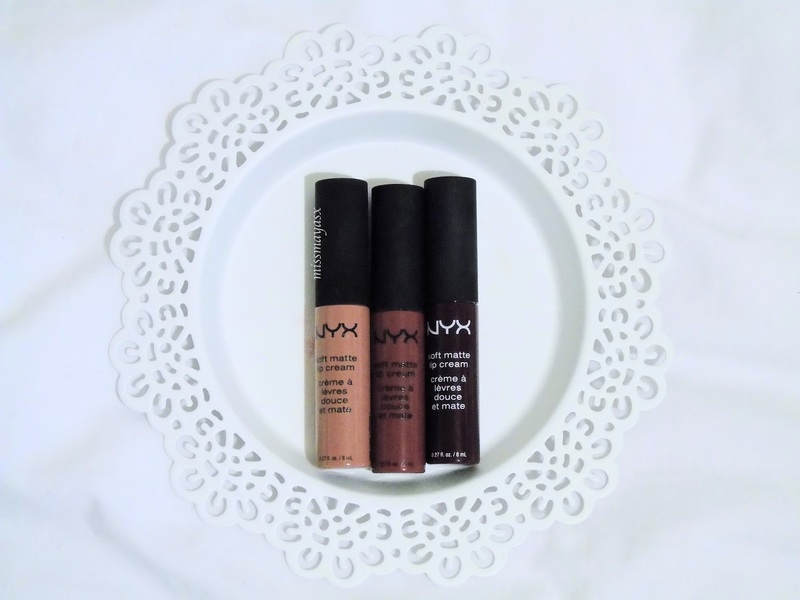 As always, all NYX products are vegan which means that the products are NOT tested on animals - just another reason to buy their makeup products! The consistency of the product, for me, was very odd. It felt like mousse instead of liquid lipstick which I found fascinating as I can't feel it on my lips at all. It's very smooth and velvet like - yes! That's exactly what it feels like. Now I know why the lipsticks are called 'soft cream' haha. Now, these are quite long lasting but I feel that I need to re-apply after eating or drinking which is annoying, but like I said before - they're easy to carry around anyway. On a good day it will last around 6 hours without touching up and I think that's pretty good bearing in mind a normal bullet lipstick would not last anywhere near as much as six hours. 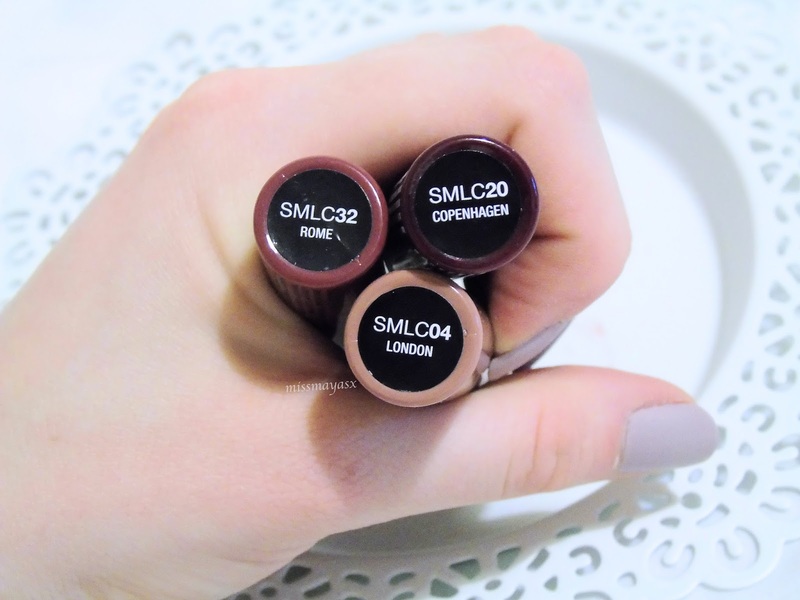 The shades I currently own are London, Rome and Copenhagen. I thought they're the best of nudes, pinks and darks haha! The next shade that's on my wishlist is definitely Toulouse but I'm not sure if you can buy it individually or only in a set. 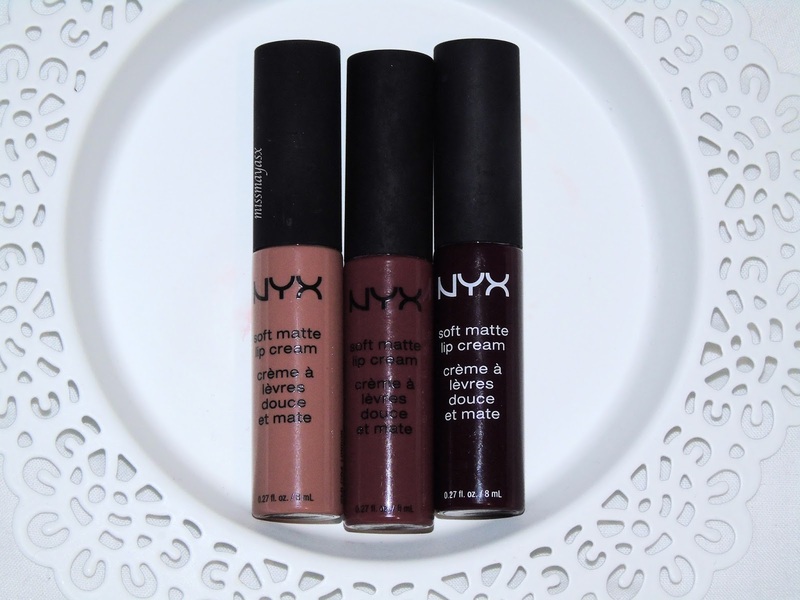 Have you tried any of the NYX Soft Matte Lip Creams? Do you have a favourite shade?